It’s all fun and splashes at Fido’s Swimfest. 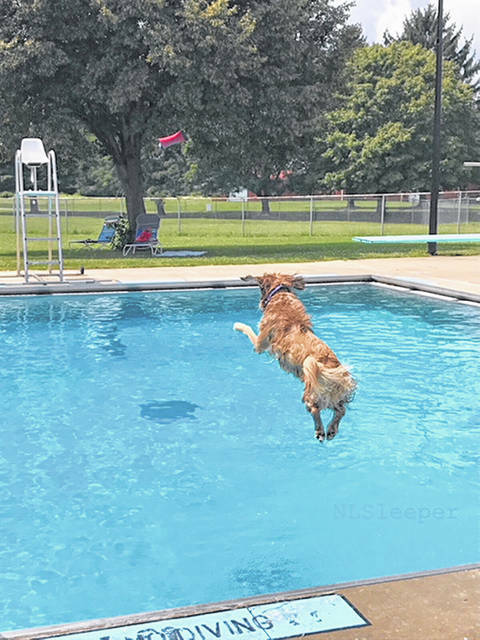 The dog days of summer are upon us, it’s time for dogs and their people to gather at Urbana City Pool for Fido’s Swimfest. The annual event, always held on the last day of swim season, will happen Sunday, August 19 from 1-5 p.m. An extra hour was added this year to accommodate attendees that prefer to stay longer. 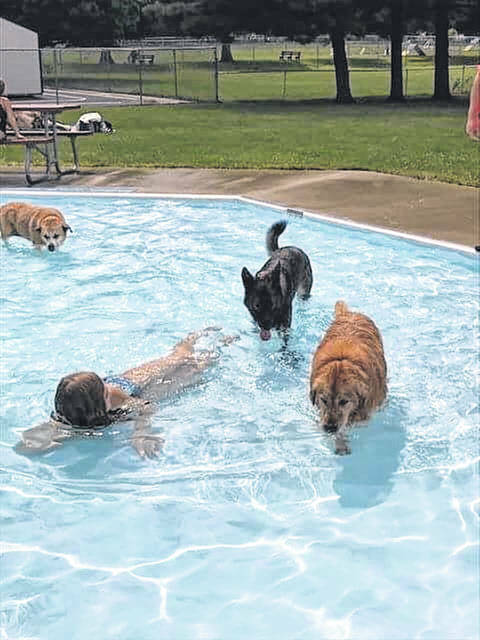 Fido’s Swimfest offers a chance for dogs to cool off from the summer heat in the pool, vendors for both dogs and humans and a raffle with baskets that include something for everyone. The baskets have dog related items, gift cards and an assortment of items for people. Tickets are $2 each or 6 for $10.There is no fee for admission and everyone is invited to attend, even those without a dog. It’s a fun day for all with both dog and people antics everywhere you look. The annual pool party for dogs is a fundraiser supporting Fido’s Field Dog Park. The Champaign County Citizens for Canines (CCCC), a 501(c)(3) nonprofit, is responsible for all of the amenities at the dog park. CCCC finances the repairs and maintenance of Fido’s Field and continues to add trees outside of the fenced area in hopes of increasing shade for dog park users. CCCC purchased and installed the dog agility equipment that was added to the park last summer. Other fundraisers for CCCC includes the annual pizza sale and the sale of engraved pavers and benches that are on display in the dog park. CCCC wishes to thank the city of Urbana, Cheryl Wade, the Urbana City Pool and the Champaign County YMCA for supporting Fido’s Field by making Fido’s Swimfest possible.